Okay ladies, let’s talk New York Fashion Week! I’ve now attended two seasons of Fashion Week and both times were experiences I will never forget. Going into my first season in February of this year, I honestly had no idea what to expect. 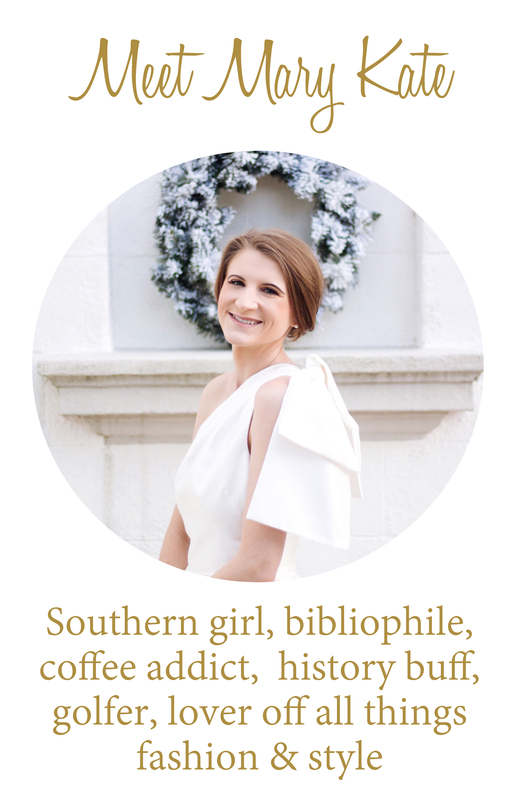 I had read dozens of blog posts similar to this one in the weeks leading up to my first shows, but nothing prepared me for the chaos I was about to live through. Being a part of Fashion Week is an incredible adventure and I want to share my experience with y’all! Scroll down to find out what I learned from NYFW and then click here to read my NYFW September recap. When it comes to street style, the crazier the better. Fashion Week street style is just as, if not more so, anticipated than the actual shows. Street style at NYFW, in particular, is known for being crazy and nonsensical. In order to be noticed, your outfit needs to seriously stand out from the rest of the fashion-savvy crowd. Bright colors, unexpected layering, or a bold designer statement piece will catch a photographer’s eye. Here’s the perfect example of how big of a difference your outfit makes at shows. For Sunday morning shows in September, I wore a peach crop top with a blue and white skirt, blue heels, and a blue handbag. See that chic outfit here. As I walked in, the show attendants smiled and tried to hand me promotional magazines and brand samples. Fast forward to that afternoon. I was exhausted from a day of sight-seeing and didn’t want to change back into my street style outfit. I walked into the show venue wearing Adidas sneakers, jeans, and a black jacket. No smiles from the attendants. No handouts. Nothing. The difference is in the outfit. Photographers don’t care about how many followers you have. Photographers stake out fashion shows because they have an assignment from their magazine, newspaper, website, etc. to take X amount of photos of the best street style at Fashion Week. Most photographers don’t take the time to ask for your information. That takes time and time literally is money in this situation. The street outside show venues is usually chaotic and if a photographer stops to ask for your Instagram handle, they’ll most likely miss the most talked about look of the week. If you’re lucky enough to catch a photographer’s eye, expect them to snap a few photos of you then simply turn away. If you want to be photographed, hang around venues at mid-day or later. My first show on Sunday was at 9 am. When Colton and I arrived at Skylight Clarkson Square, there were maybe five photographers hanging around and they weren’t snapping many photos. I was kind of disappointed considering this was my first show at Skylight and I expected a lot more….well, more. I got what I wished for at the second show that afternoon at 3 pm. The street was packed with photographers, bloggers, cars, and attendants. If you want to be photographed, the later shows are where you need to be. Being photographed may not be what it’s cracked up to be. The following is completely hearsay considering I overheard this conversation while standing in line for a show. A group of three women were talking about the audacity of some of the photographers there to shoot street style. As I listened, a woman told her friends she couldn’t believe how rude some of the photographers outside the show. Another woman chimed in, saying she could not believe that one photographer actually grabbed her jewelry and moved it for a better shot. While the jewelry was still on her arm. The third woman (who I later met and learned is a photographer from Washington DC) said that she had seen that happen more times than she could count. She said that in her experience, young woman and men usually will not speak up and tell photographers that it’s not okay to touch them because they desperately want to be photographed. So be warned. Go out there and be photographed, but don’t be afraid to speak up. Unless you have a Seated or Priority Standing ticket, you’re probably not getting into the show. It doesn’t matter how well you’re dressed, how many followers you have, or how long you’ve dreamed about seeing a show in person. The galleries for shows are typically very small and fill to capacity quickly, meaning you may be out of luck if you only have a Standing ticket. Seated tickets are allowed to enter the gallery the moment they arrive to take their seats. Priority Standing tickets will be let into the gallery after most Seated tickets have entered. Only then will the Standing tickets be allowed to enter IF, and only if, the gallery isn’t already at capacity. If you have a Priority Standing or Standing ticket, queue up very early so that you’re at the very front of the line. If any Standing tickets get into the show at all, it’s usually the first 20-40 people. Expect to be waiting. A lot. The most unglamorous thing about Fashion Week is the waiting. You’ll be waiting to be let in the venue building. You’ll be waiting to be let into the gallery. You’ll be waiting for the show to begin, which is never on time. Which leads me to my next lesson…. More than likely, you’ll be standing in line on concrete floors anywhere from 20-50 minutes if you have a Priority Standing or Standing ticket. Trust me when I say your feet will be killing you. After my first show on Sunday, I literally sat down in the street, yes in the freaking street outside the venue, to change from heels to sneakers. No shame. If you absolutely must wear stilettos with your outfit (like I did), bring flats to change into right after the show in your Uber. Make friends with the people standing with you in line. Presentations are a lot more fun than shows. There are two types of events at Fashion Week: runway shows and presentations. 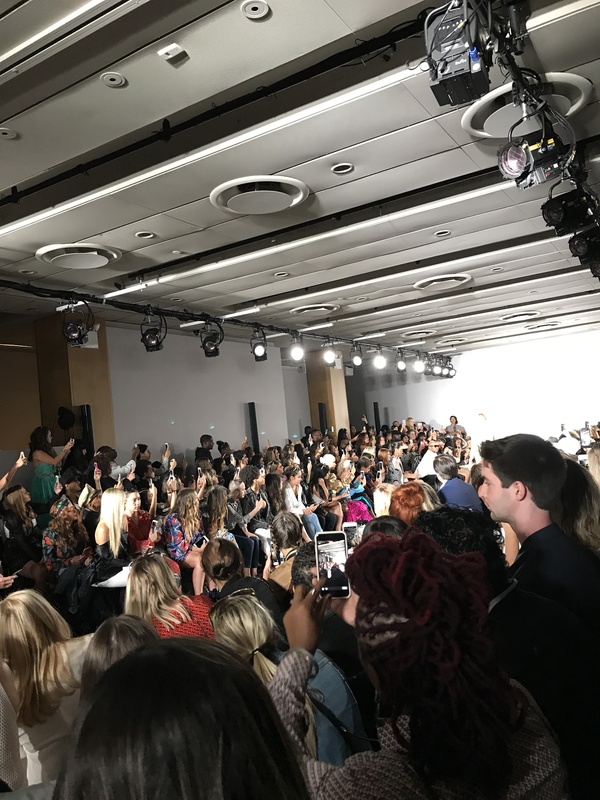 For a runway show, you’re packed into a tiny space with a little over a hundred people (yes, like sardines) hoping and praying that you can snag perfect well-lit, in-motion photo of the models as they walk down the runway. Unless you’re front row with an amazing DSLR camera, good luck with that. Presentations last anywhere from 1-4 hours and are, in my opinion, way more fun than shows. Models are usually standing in one spot while people walk around sipping cocktails and snapping as many photos as they like of every aspect of the model’s outfit. Brilliant. Be wary of “unofficial” shows. Just like there are two types of events, there are also two types of runway shows: the shows sanctioned by NYFW on the official calendar, and the shows that aren’t big enough to make it on the official calendar. Official shows can either show at the official NYFW venue, Skylight Clarkson Square*, or they can choose their own venue while still having the official coverage. 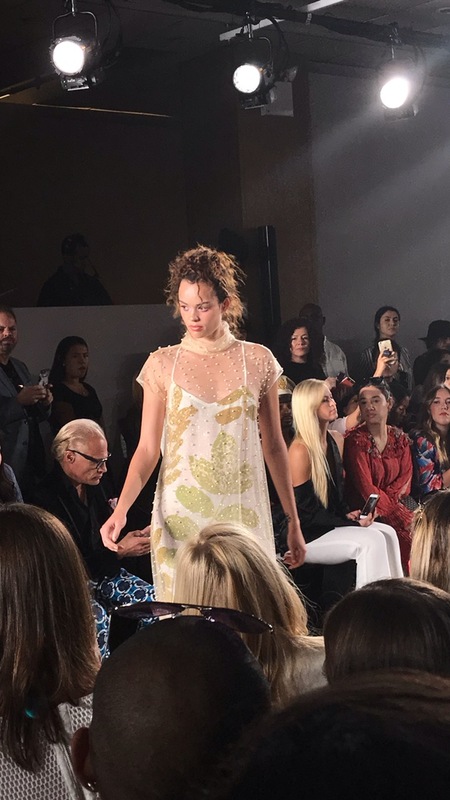 Design houses like Dan Liu, Jarel Zhang, Prabal Gurung, and Jonathan Simkhai chose to show at Skylight in September, while the ultra-exclusive shows like Marc Jacobs, Ralph Lauren, and Marchesa chose their own venues. Unofficial shows are usually up-and-coming designers who ride the small tidal waves of Fashion Week exposure. Because of their smaller budgets, the venues they show at are sometimes a little strange and/or sketchy. At my first season of Fashion Week in February, I attended Yuna Yang’s show at the Gotham Comedy Club. Gotham is famous for being the location of the NBC show Last Comic Standing and has also seen the best of stand-up, including Dave Chappelle, Jerry Seinfeld, Chris Rock, Rosie O’Donnell and more. But it’s definitely a strange choice for a runway show. The club is not set up for fluid movement and the lighting is extremely dark. Sure enough, as the first model started walking, I could barely see her clothing thanks to the dim lights, dark walls, and dark flooring. It’s safe to say that none of my photos turned out from that show. 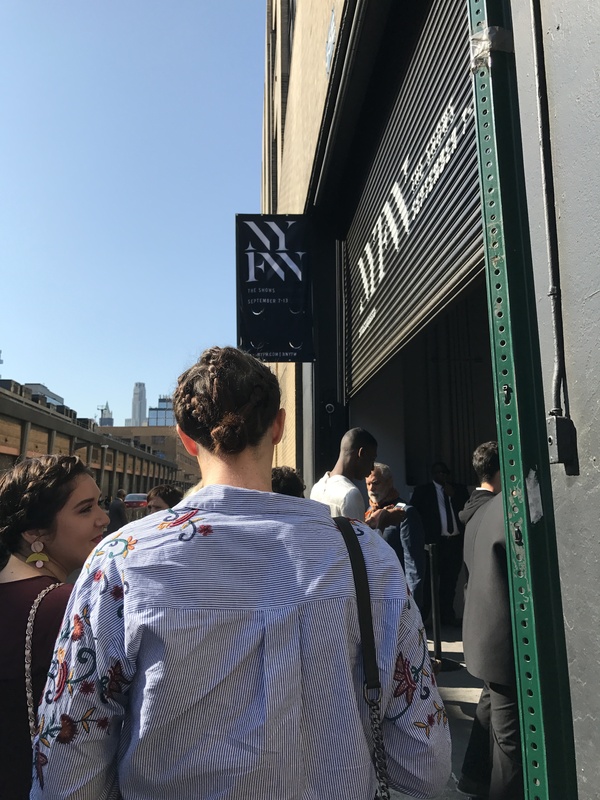 *New York Fashion Week announced shortly after the beginning of September that there will no longer be an “official” venue space for sanctioned NYFW shows. Bye, bye Skylight Clarkson Square. Now before bloggers everywhere come after me with pitchfork emojis, let me explain. When I received my first ever New York Fashion Week invitation via email in January 2017, my heart raced. It fluttered, somersaulted, and tap-danced. I mean, this is Fashion Week, every blogger and fashion girl’s dream. But when I got there and I was finally rubbing elbows with the best of the fashion industry, I was slightly underwhelmed. Don’t get me wrong, I had a freaking blast. I was on cloud nine just being in New York City! But the hustle, chaos, clothing, parties, and shows weren’t as glamped up as they are in movies or on tv (thanks, Devil Wears Prada). It was great being one of the first pair of eyes to see trends before they hit the stores next season. It was great meeting bloggers I’ve followed and been friends with online for years. It was great just being there. But after two seasons of the chaos, I can officially cross it off my bucket list. And I may not look back. This was a very interesting read. This was one of the first post I’ve heard actually be honest about NYFW. Normally people try to hype it up and don’t tell the things that are less glamorous. Thank you! I read so many blog posts about fashion week so I thought it would be totally different than it actually was. It was fun, but it wasn’t what I thought it would be.